We would like to introduce a new column for Fridays called TGIF. While, yes, we usually do feel the "Thank God It's Friday" meaning, we also want to end our week of posts with things that have caught our eye. We took the acronym to mean "Thank Goodness I Found ___." This week that blank is filled in with: the space between summer and fall. 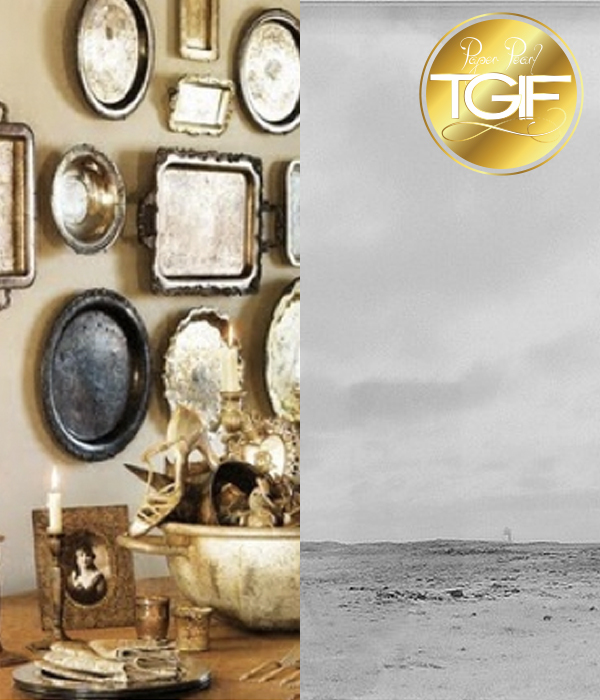 We pin to our new TGIF board so if you want to repin that original image we found on Pinterest, it is yours for the taking (as always, we will do our very best to credit these sources since it is not original content to Paper Pearl). This week, I think Alison and I were both feeling the anticipation of fall and those deeper colors that give you a crisp yet cozy feeling. Alison selected the three art pieces that you see-the beautifully moody street scene, and the two melancholy ocean images. 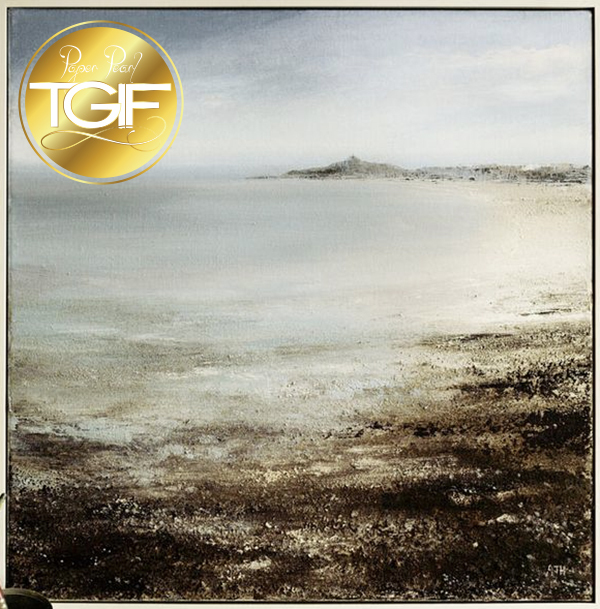 She started our curation for this week's TGIF and I'm so glad she did…my anticipation of fall and all its glory mixed with my grip on what is left of the juicy splendor of summer seemed to be perfectly captured by the artists she selected. I want that feel of fall coziness but I still crave the crash of the waves in the ocean. Maybe I am always a little lost between summer and fall? 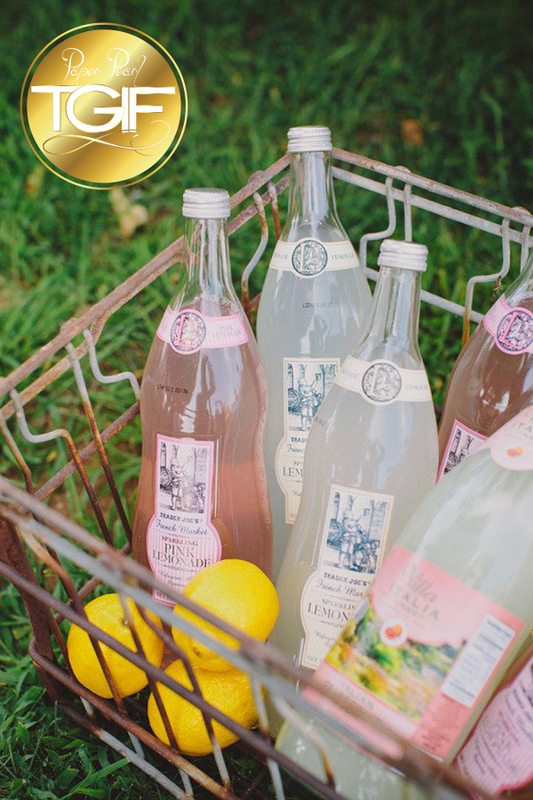 With that, those artfully labeled lemonade bottles make me smile at the last days of summer bliss. 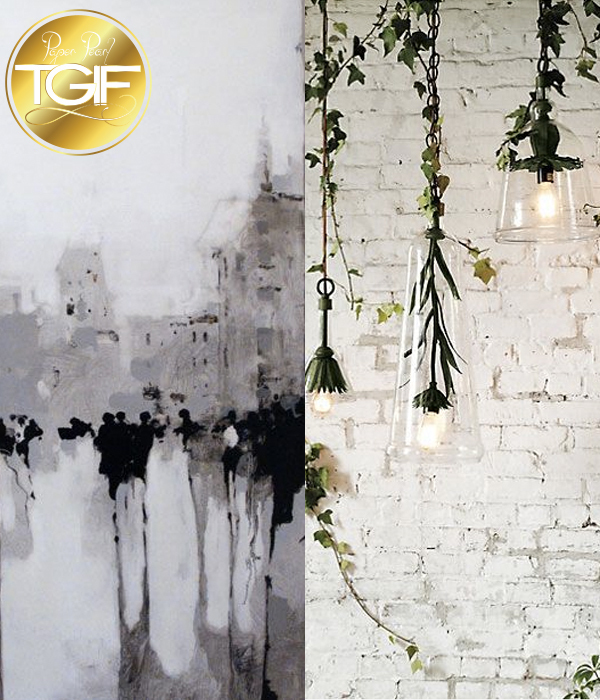 The hanging plant lights remind me that seasons always change and that organic imagery is always so beautiful. Lastly, I love the romance of those hanging platters in various metals-proving that many things do get better with time (I secretly am not polishing a silver tea pot because I love the colors of the tarnish).